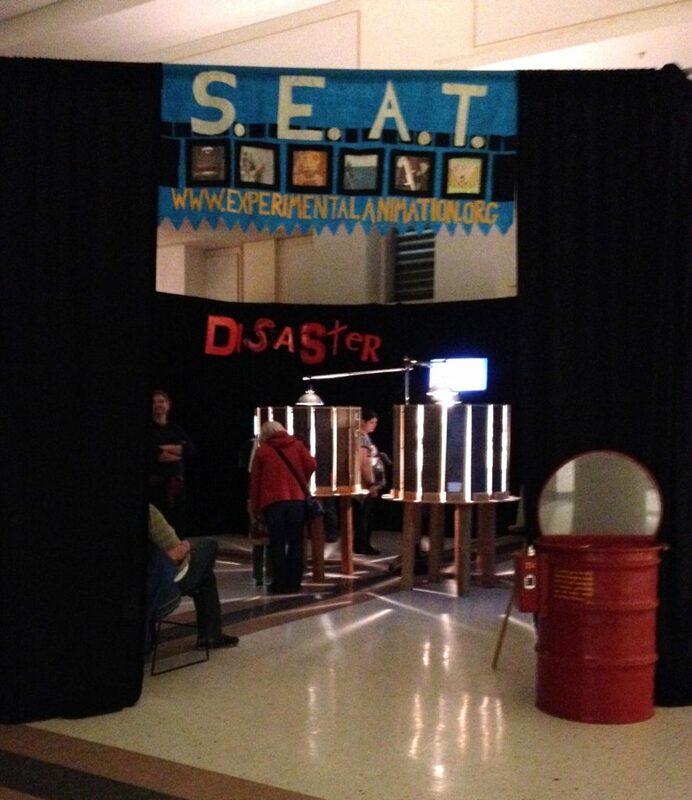 The Seattle Experimental Animation Team was in full force at the recent Bumbershoot festival. The team installed their three giant zoetropes sculptures which included some brand new animated loops with a ‘disaster’ theme, as well as other video/animation related installations. The zoetropes were originally constructed for the month-long SEAT & Spin exhibit at Gallery 4Culture, and we’re happy more people got to experience them. Go SEAT! The SEAT corner at Bumbershoot. Photo by James Webber. SEAT @ Bumbershoot 2016 from SEAT on Vimeo. SEAT @ Bumbershoot 2016 B from SEAT on Vimeo. SEAT @ Bumbershoot 2016 C from SEAT on Vimeo. 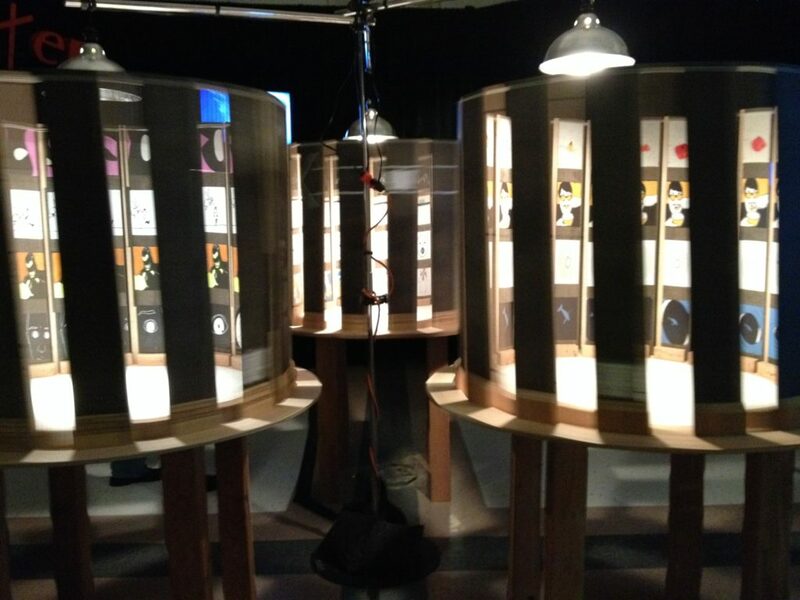 Zoetropes in action. Photo by James Webber. Shot in the dark: hand-crafted animated shorts from around the world SEAT at Short Run!